A long time fascination with soaring began for Tom Page with the stories of German developments after World War I while he was in grade school. At the University of Kansas in 1930 he joined a glider club with a Zoegling-type primary and began his soaring life. Just prior to World War II he took powered airplane flight instruction. He was beyond aviation cadet age. However, he soon enlisted in the Army glider program. By the end of the war he was one of the small number of Air Force glider instructors with over 2,000 glider flights racked up in "the battle of Texas." Instead of returning to his pre-war career of banking, or, as he had been in 1941-42, a labor market economist for the federal government, he returned to graduate school, earning a PhD in political science. Then, in 1951, he became a college professor at the University of Illinois. He had competed in the 1947 National Soaring Contest with his LK-10A but sold it to help on the last lap of graduate study. At the University of Illinois he was a working faculty sponsor of the Illini Glider Club. He helped that club complete the approved type certification of the flattop LK-10A, performed the flight tests, and wrote the FAA-approved bulletin used by many L-K owners to modify this durable surplus sailplane. 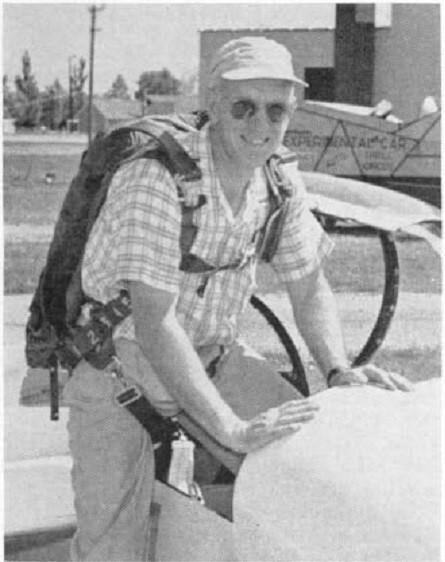 Tom planned the American Soaring Handbook project in 1956, obtained the grant from the Link Foundation to SSA which started if off and wrote the first chapter to be published - Airplane Tow. He continued working on other chapters and served as adviser to the editor of the project, Alice Fuchs. He was the author of many feature articles and other items for Soaring magazine from 1974 through 1978. Shortly after being elected as an SSA Regional Director in 1961, Tom was appointed to the new SSA Integrated Training Committee. One of his projects for this committee, a suggested draft for a flight test guide for private, commercial, and instructor ratings in gliders, was taken over by the FAA for its series of such flight test guides. He served as an SSA Director for 18 years, including Vice President in 1962 and Secretary from 1965 to 1968. Tom built a Schweizer SGS 1-26A from a kit with, as he says, "lots of help from club members." 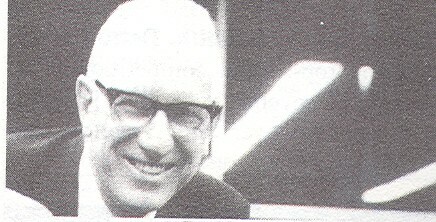 Tom Page was awarded the Eaton Trophy in 1973, received the Exceptional Service Award twice (1972 and 1979) and gave the Barnaby Lecture in 1981. He earned Silver #303 in 1958, Gold #159 in 1963, Diamond #151 (Intl #873) in 1970 and the Symons One Lennie Pin #258.